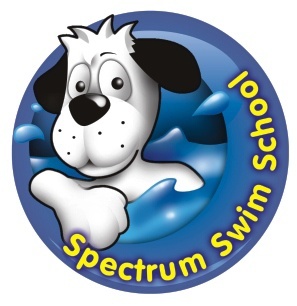 Guildford Spectrum's Swim School follows the Swim England National Plan for Teaching Swimming (NPTS) which takes swimmers on a journey, from their first splash at 6 months old to developing confidence and competence in the water. All our teaching staff are Swim England Qualified and have a wealth of experience in the provision of swimming teaching. Lessons at each stage are supported by an assistant teacher to aid progression. Designed for developing early years water confidence, these adult accompanied classes are an introduction to the swimming world. The emphasis is upon developing of basic movement skills, confidence building and an introduction to water and the swimming environment through fun and games. These sessions work towards the Swim England Duckling Awards + I Can programme. Build water confidence through the use of toys and nursery rhymes. Basic water skills and swimming aids are introduced through structured play. Child has no prior swimming lesson experience. Child has progressed through Pre School swim programme and ability is considered standard.